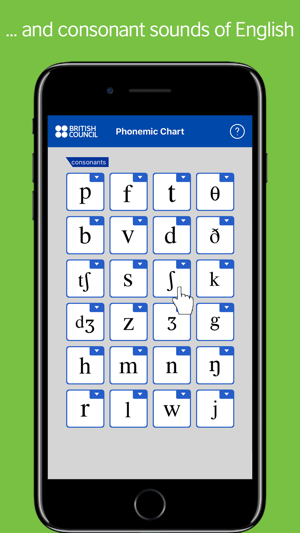 LearnEnglish Sounds Right is the British Council’s FREE pronunciation chart for learners and teachers of English worldwide. Do you have difficulty with the sounds and pronunciation of the English language, or with understanding the symbols of the phonemic alphabet? 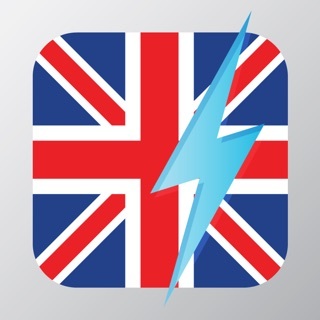 With LearnEnglish Sounds Right on your phone or tablet you can practise anywhere and anytime. Just tap a sound and you will hear it. Tap the downward arrow sign and listen to three example words with that sound. 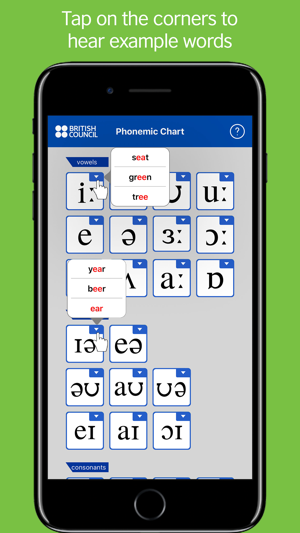 Do you use phonemic script in class to help your students with their pronunciation? 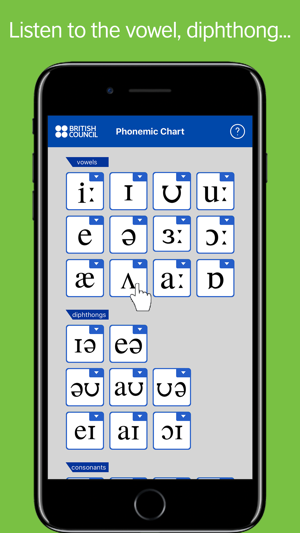 With LearnEnglish Sounds Right installed on your class set of devices, or your students’ own devices, you can teach the individual sounds and symbols easily. * The pure vowels are arranged the same way as in the IPA chart: according to mouth shape (left to right, lips wide / round – top to bottom, jaw closed / open). * The diphthongs are grouped in rows according to their second sound. * The consonants are arranged from left (front of mouth) to right (back of mouth). The top two rows of consonants are paired (top row – unvoiced, second row – voiced). When you tap a plosive consonant, the schwa (ə) appears. This is because the plosives were recorded with a schwa for clarity. We hope you enjoy using this chart! 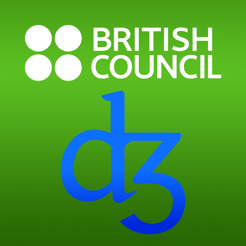 Please contact us at learnenglish.mobile@britishcouncil.org if you have any comments or ideas for future versions. * We’ve rebuilt the app from the ground up, so that it works perfectly on the latest versions of iOS, and all the newest Apple devices. 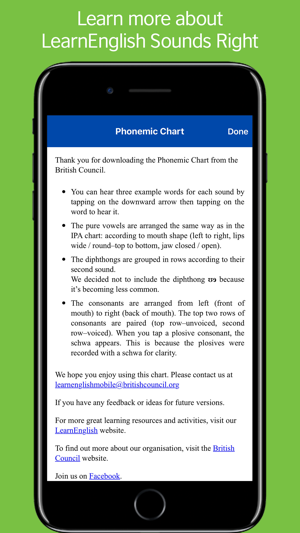 * We’ve added an iPhone version, so you can now have the phonemic chart in your pocket. Thanks for using LearnEnglish Sounds Right! Please send us an email at learnenglish.mobile@britishcouncil.org if you have any feedback or suggestions for future versions. Thank you very much for your support. We hope you continue enjoy learning with our app. 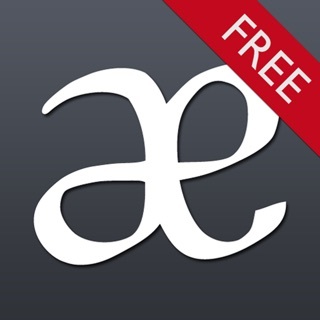 As a linguist it was quite fun to find this app in the store. I'm sure I'll be pulling it out to explain basic concepts to friends and family. Thanks for the hard work. Beautifully done. Three tips. First, it would be nice to have each sound recorded in word initial, medial, and final position, where possible. Currently the reasoning behind the selection of words is unclear. Second, two symbols are off. You've a trilled 'r' were an approximate is intended (should be U+0279, SMALL LETTER TURNED R). Also, I believe you have the wrong sound for your unrounded open-mid back vowel (U+028C, SMALL LETTER TURNED V), though this may be a dialect difference. Third, it would be nice to have several major dialects to choose from. As an American immigrant to Australia, I can tell you two I'd nominate for inclusion. I'm going to pursue a bachelor's degree in Linguistics with an emphasis in ESL, and I think this app will help me learn the IPA as well as with my teaching goals. It's a very straightforward app, but very helpful. I wish it was available for OS X (iMac and laptop).